We’ve been busy again this year – I seem to say this every time I write one of these New Year posts, but that’s got to be better than having a year where nothing happens, right? Kate has a brand new job at DK Travel, working full time in the office again as list manager, and my job in bookselling continues to be both eventful and challenging. We went on holiday early in the year to Bath, visiting a freezing cold Stonehenge on the way home, and in September returned to the States for the fifth consecutive year, this time going to the Black Hills of South Dakota, Yellowstone and the Grand Tetons before visiting Sally, Tillman and little Xander in Idaho Falls. 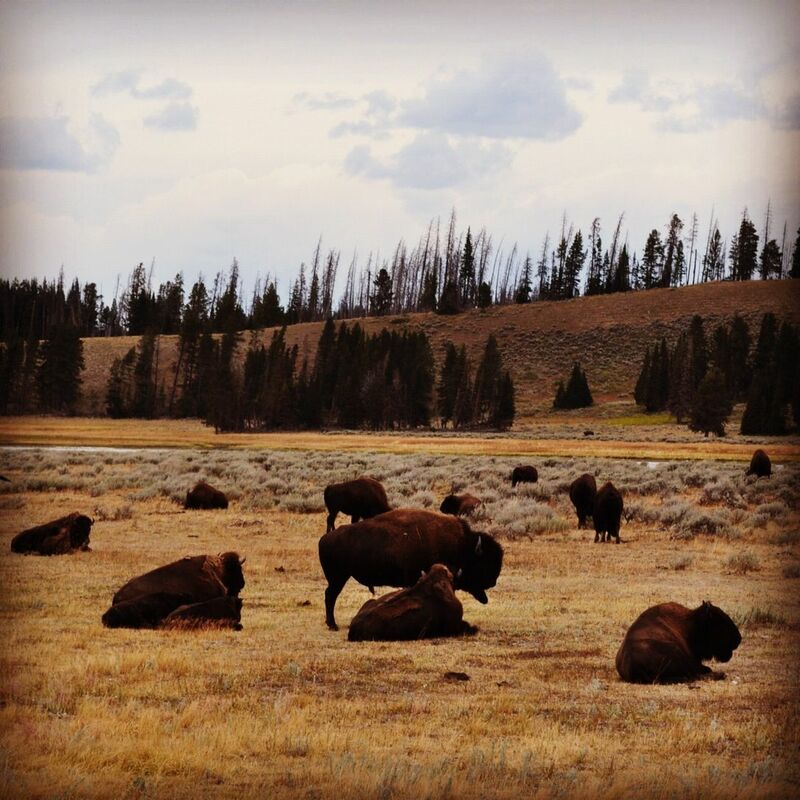 We saw lots of wildlife and stunning scenery, and had a great time. Back home, Palace have been playing some fantastic football and there is still a decent chance we’ll get promoted this season despite a few recent setbacks. Losing Dougie Freedman was sad but I think we’ve got a great manager in Ian Holloway. 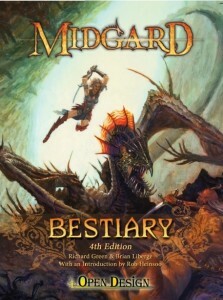 After the D&D Next announcement, it looked like the Midgard Bestiary for 4th Edition might not come out after all, but following a successful Kickstarter which raised over $10k, the book was published in both pdf and print, and I am very, very proud of how it has turned out. 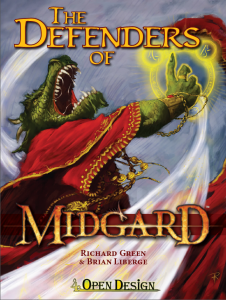 The companion player’s book, Defenders of Midgard, which I contributed to, has just been released too. 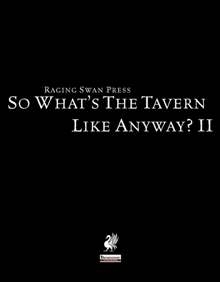 I also started writing for Creighton Broadhurst at Raging Swan Press, and had five books published in the So What… series, covering treasure, weapons, armour and taverns. I’ve enjoyed writing these immensely and I am really pleased at how they have been received. In total, I had eight RPG books published in 2012 – not something I was expecting at the start of the year but very satisfying nonetheless! This has made me think that it’s about time I did something with Parsantium. My city setting is five years old this January and I’ve run 134 game sessions set there. I have 16,000 words of setting material written, as well as several adventures that take place in the city. It all needs tons of work and revision, but my plan is to self-publish Parsantium as a city sourcebook for D&D in 2013. Because the D&D community has become so fragmented, my current thinking is to keep it edition-neutral so it can be used with D&D Next, 4e, Pathfinder, AD&D or 13th Age. Any comments or suggestions from readers of this LJ on the project would be much appreciated! As well as the professional stuff, I also contributed to the Classics Return and Winter is Coming II blog carnivals and organized the If I Ruled the Multiverse blog carnival to discuss what kind of cosmology gamers wanted to see for D&D Next. My talented pal Symatt did some amazing drawings for all of these. Obviously, I continued to play and run a lot of RPGs as well as writing things for them. The Black Horse Parsantium campaign went on hiatus after reaching its 90th session in which we finished Courts of the Shadow Fey, but the Juma Gang are still going strong as they explore the Trollhaunt Warrens. On Monday nights, z45tu7 has started running the epic Pathfinder campaign, Rise of the Runelords, and we are having a lot of fun running around Sandpoint and failing to agree on a team name. We also played a couple of sessions of ninthcouncil’s 4e game set in the Wilderlands setting. Gavin’s excellent Trail of Cthulhu/Gaslight campaign continues, and Mignola’s Marauders have been back in action, racing across the city of Jorvik (Step in Time!) before sailing over the stormy North Sea to the Dragon Lands. I ran a session of Halls of Undermountain for Kate and we finally played The Slaying Stone again just this week after a 15 month gap! I've also been playtesting D&D Next – I first played it back in February at the 3rd #ukdndtweetup organized by @adampageuk. Since then we’ve been playing online via G+ with the excellent @greywulf as DM and have had a lot of fun, largely down to the awesome people I am playing with rather than the rules. D&D Next shows a lot of promise but I must admit I am having trouble keeping up with the constantly changing rules which sometimes seem to unfix things that were working just fine. Hopefully the core classes and rules will be pinned down soon. I am also interested to see how 13th Age turns out – we’re using the Escalation Die in our 4e games as an experiment at the moment and it's working well. As well as going to the tweet-up and Drowathon in Nottingham, I had a great time at this year's Dragonmeet. Maybe this summer I will finally make it to GenCon! My favourite album is The Lion’s Roar by First Aid Kit – Kate and I saw them live at Shepherd’s Bush and they were great, but I also really like Shallow Bed by Dry the River, and Streets in the Sky by The Enemy. We saw both of these bands too and they were excellent. My favourite film has to be the amazing Avengers Assemble but I also really liked Drive and Skyfall. Thanks Alan! All the best for 2013 to you too.